Approach: Autobahn A5 exit Freiburg- Mitte (No. 62) or Freiburg- Süd (No. 63). Then direction Titisee-Neustadt - Kirchzarten - Oberried. Steinwasenpark is located near Kirchzarten, a few kilometres east of Freiburg. 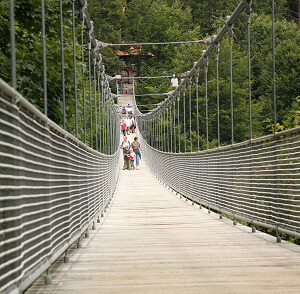 The main attraction is the longest adventure rope bridge in the world (218 m). 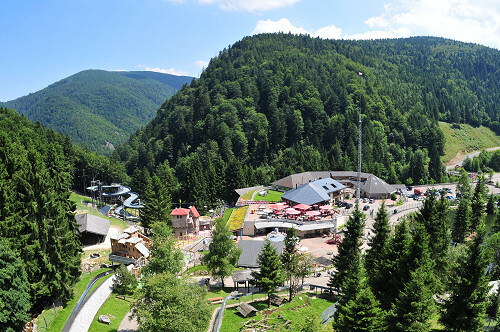 Further highlights are the summer toboggan run and various adventure rides, a wildlife park with more than 20 species and the children's play area.